This Storyful video shows the moment when tourists were taking photos of a giant alligator at a state park in Florida and suddenly something shocking happened. One of the nearby wild horses stopped grazing and attacked the alligator. 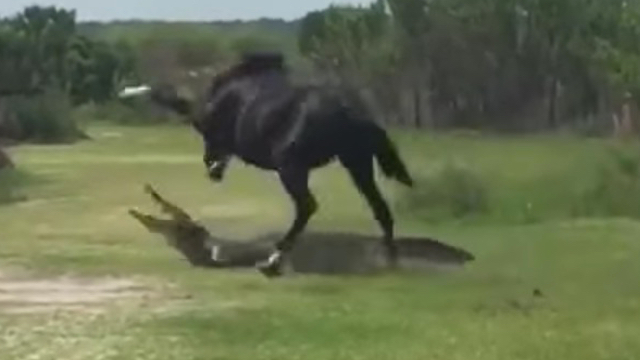 People screamed as the horse violently stomped on the alligator. None of the animals appeared to have been hurt in the incident.